In Germany there is always a reason for a festival, and winter is no different. December in Germany is the time for Christmas Markets, and there is one in nearly every town. Check out some of the markets I've been to, and some photos along the way! This market is my absolute favorite in the area. It is a medieval Christmas market complete with 'Mouse Roulette' and plenty of entertainment to keep your spirits up in the cold. The area is beautiful and it is definitely worth checking out. To read about my latest trip to this market click here. Stuttgart has a very large Christmas Market with over 200 decorated stands to check out. Like the other markets, there are plenty of items for purchase and food to please your palatte, including the popular gluhwein. To read more about the Stuttgart Christmas Market and see photos, click here! This market is set at the Hohenzollern castle about an hour south of Stuttgart in the Swabian Alb. The location for the market is stunning at this castle and the views overlooking the valley below are priceless. Click here for the article about my visit there. 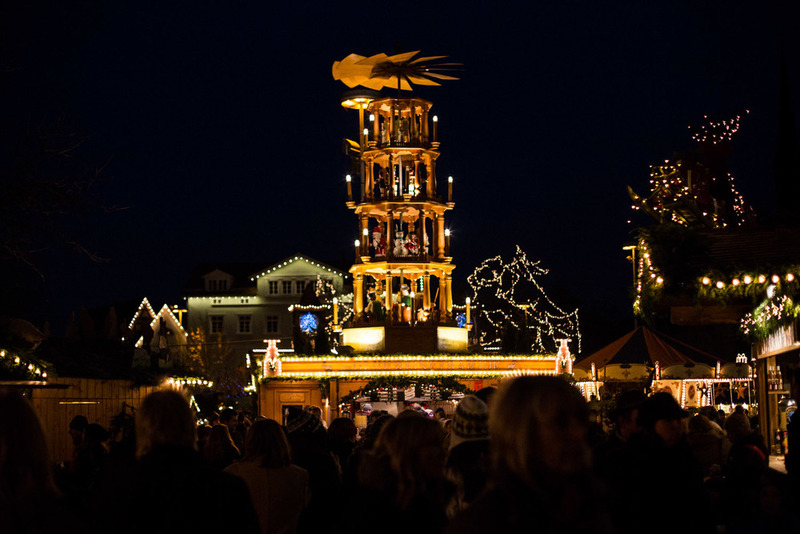 The Ludwigsburg Christmas market is a smaller market that's known for it's Baroque theme, which is a natural choice with one of the largest Baroque palaces in Germany right around the corner. Rothenburg is a historic town in Germany. It is a walled in city that has been preserved throughout many conflicts. Thismedieval town is beautiful and during the holidays has a picturesque Christmas Market. The city of Heidelberg by itself is beautiful, and a popular tourist destination for people from all over. Their Christmas Market is spread out in the Old Town to form a few smaller Christmas Markets.